Training. Experience. Dedication to excellence. We know that the way your home or property looks is not only a reflection on you, it's a reflection on us. 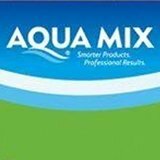 Count on us for fair pricing, professional services, and satisfaction guarantee on every job. Fallen leaves, muddy run-off from lots of rain, mold and mildew from high humidity – who wants to run around barefoot on that? Certified Stone Professionals can return your outdoor surfaces to pristine condition, then seal them as appropriate to the surface type to help minimize staining and excessive moisture absorption. Inside your house you probably take all sorts of steps to minimize spills and protect from stains from house rules about where food and drink is allowed, to coasters, to sippy cups. Policing the outdoor spaces can be a little more difficult. After all, Mother Nature follows no house rules but her own, and the local wildlife is just not into sippy cups. Consequently, stains happen, particularly on porous or unsealed surfaces. Fortunately, Certified Stone Professionals can resolve most stains to your satisfaction. 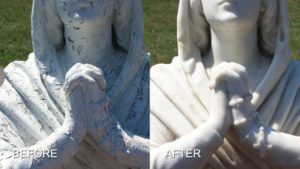 That cloudy film or powdery residue that’s marring the appearance of your beautiful outdoor spaces could be efflorescence. Efflorescence is caused by moisture drawing mineral salts from or through your surface material and then evaporating, leaving salt deposits behind. Certified Stone Professionals has the specialized knowledge to address and resolve your efflorescence issues. Extreme changes in temperature, shifting of the supporting structure, and rough wear can create chips and cracks in your outdoor surfaces. Missing or damaged tiles or pavers not only diminish the appearance of your patios and walkways, but they could actually affect the entire structure. We can repair or replace loose or broken pavers and reset sunken or dipped pavers so that you can continue to enjoy them for years to come. Our proven repair methods expertly fill chips, cracks and holes and then hone these spots, returning them to their original condition. We also take pride in protecting the surrounding work area, including your landscaping, fencing and home. Your pool decks and patios, outdoor kitchen areas and more deserve the same care and attention as the fine surfaces under your roof. 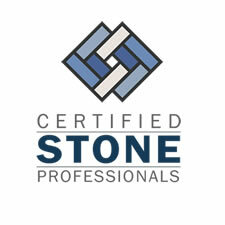 Certified Stone Professionals is here to help you keep you exterior living spaces in the same great condition as your interior ones. For a FREE estimate on professional honing, polishing, cleaning, sealing, and other restoration services for natural and engineered stone outdoor living areas throughout Western New York, including Rochester and Buffalo, contact us online or call (716) 759-4200 today. Dear Dean and Jay, Thank you! Thank you! What you were able to do with our old (and very stained and very dirty) marble slab is nothing short of amazing! We had hopes it could end up looking a little cleaner but never imagined you would be able to have it look like new! You absolutely worked some serious magic! Thank you for being curious, tenacious, and determined to figure it out -- that is such a rare and fabulous quality that is in short supply many days! We really can't thank you enough and tell you how much we love the work you did! Thank you!! !